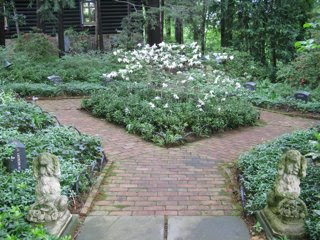 I visited the Hillwood Estate, home to the late Marjorie Merriweather Post. She collected wonderful art, cared for lush gardens and had beautiful antiques from all around the world. But the most memorable was her pet cemetery. Now these memories live in a quaint little sanctuary for her beloved friends!